In the process of life people are striving to understand the world and themselves. Just as your heart may yearn to comprehend what heaven must actually be, so too, human understanding stretches beyond its capacity to comprehend when higher consciousness is the subject. Much guessing and presuming occur. Theres considerable hope, and fantasy, too. Only the Lord knows the subject of higher consciousness thoroughly. 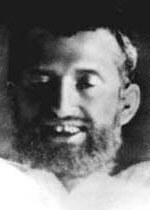 The great East Indian master, Sri Ramakrishna (1836-1886), compassionately helped people who were locked into the idea they knew all there was to know about higher consciousness, or even that they had attained the highest experience of this glorious realm.